On August 22nd, after 19 months of fighting to live with lung cancer, Ken Pochinko (Kenny P) decided it was time to “shut’er down” and go fishing permanently. He is survived by his cherished wife of 30 years, Charlene. 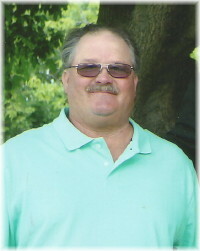 Also mourning his loss are cousins’ Kim Hoey (Murray), Greg Bukoski , Brenda Dutka (Darryl), Uncle John Bukoski, in-law’s Bill and Margaret Black, Kelvin Black (Cathy), Reg Black (Myrna) as well as several nieces and nephews. Ken was predeceased by his parents; brother Cory Sawchuk; special Auntie Marlene Bukoski, cousin Kevin Bukoski; nephews Keith Sawchuk and Jordan Black. Ken was born in Sudbury, ON to James and Eva Pochinko on Dec. 16, 1957. At 4 years old, his mother passed away suddenly and he was sent to live with his paternal Grandmother, Annie Napora in Rossdale, MB until her health declined. It was then that Ken’s dear Auntie Marlene Bukoski (nee Pochinko) took him into her home. On the Bukoski farm Ken thrived with the hard work farming entails. He took particular interest in all things mechanical and at age 16, quit high school because he said he was smart enough. He obtained his Automotive Technician ticket from Red River College and after apprenticing at a garage in Yellowknife, moved back to Beausejour to open his own business – KP Auto and then with partner Paul Zillman, K & P Auto. In Ken’s 40+ years as a mechanic, he worked at many locations. He was Master Auto Technician for Jim Gauthier Mazda, Haber Suzuki and most notably at Frontier Subaru which was his place of work until his illness forced him into early retirement in January 2017. Ken was the old school type of mechanic. He was well respected or despised for doing a job one way – and that was Ken’s way. Many an apprentice has mentored under Ken and had the privilege of working in the “Smart Zone” and trying to interpret his “Kennism’s”. His knowledge of all things automotive led him to be a volunteer Race Tech at the CPTC snowmobile races for several years. Besides his incredible knowledge in anything with an engine and wheels, Ken’s true passion was camping, fishing, hunting, snowmobiling and visiting with friends and family. He loved to be on the water at Pointe du Bois where he met many people and formed great friendships. He was the guy with the toothpick in his mouth, and he loved to talk. He was known for giving his opinion whether you wanted it or not. Sometimes known to be crusty on the outside, Ken was truly soft on the inside. He took great pride in the lives of nieces and nephews, particularly when they asked his advice; went fishing or sledding with him or just stopped by for a visit. A life lived. A man loved. And now, to say good-bye. How hard it has been to watch you suffer. You denied the end was coming and lived every day with a plan for tomorrow with death chasing you and the attitude “…when your number is up, it’s up”. In lieu of flowers, donations may be made to the Beausejour Hospital TV Fund, Box 1614, Beausejour, MB R0E 0C0 or CancerCare Manitoba, 675 McDermot Ave., Winnipeg, MB R3E 0V9. As per Ken’s wishes, there will be no formal service – but he did want a party! Friends and family are welcome to attend a Come & Go Celebration at our home in Cloverleaf on Thursday, August 30th anytime after 4:00 pm. Please stop in for a hot dog and chocolate cake….and maybe a story…..
R.I.P. Kenny……Our thought & prayers are with you Char. Kenny was an interesting character with a lot of knowledge, plenty of good stories, and a big heart. “If you ask my opinion”, Kenny will be missed by many. Charlene we are so sorry to hear about Ken , he was a wonderful guy. I got to know him when I was working at the Co-op and he would drop in to see the guys, he always had time to say hi how’s it going. He will be missed. Sorry for your loss Char. The suffering for Kenny is done. He is gone but the memories you have are in your heart and yours forever. Thinking about you at this time. Stay strong and take the support from a great family and friends. Our sincerest condolences on the passing of Ken. Glad to have been able to visit recently ..
After working with him for some 8 years..he will always be remembered ! May the fishing be the best it’s ever been ! So very sorry for your loss. It was a privilege to know Ken for the short time I did. I am so sorry Char….many memories of a younger Kenny and all of them bring smiles. Thinking of you with love and hugs. Sorry I can’t be there to celebrate such an awesome man. So sorry for your loss, Char! Kenny will be missed. Wish I could be there. lots of hugs!! Was recently sharing some memories with friends about the good old days and Kenny was very much a part of those days. Thanks for the fishing trips, the snowmobile rides and of course the mechanic tips. Thanks for the memories Kenny P. RIP. Char I am so sorry for your loss. Ken was a great guy and I enjoyed hearing many of his stories…whether at Great Woods Festival or at Dunlops after sledding. My condolences to you and your families. He was a great neighbour down the road. I enjoyed passing Char and Ken’s place on the way out to my parents place a mile and a half up the road. May he R.I.P. Sorry to hear of his passing, my condolences to all who knew him. So sorry for your loss. I did not know Kenny that well but the few times I met him and Char at family gatherings I enjoyed their company. May he R.I.P. So sorry for your loss Charlene and family. Our thoughts and prayers are with you at this time of sorrow. Kenny was truly a great guy. Chat, Our thoughts and prayers are with you at this difficult time. I have so many memories of when we lived in “The Hen House” and Kenny lived in “The Palace”. Our sincere condolences to Char and all the family. Auntie Marlene and I were school friends and she was a very special woman who I know loved Ken very much and was a positive influence on his life. May he Rest In Peace. Char, Rick and I were very saddened to hear of Kenny’s passing. He was a great guy! Our deepest sympathies to you and the rest of your family. Sincerest condolences to you and your families Char. Ken was an absolute great guy, with a wit and sense of humor. He always knew how to make you chuckle. Just heard about your best friend and loving husband Char. Sending our deepest condolences and please know our thoughts are with you at this time.